We are delighted to present to you our first ever show special, the Kappa. 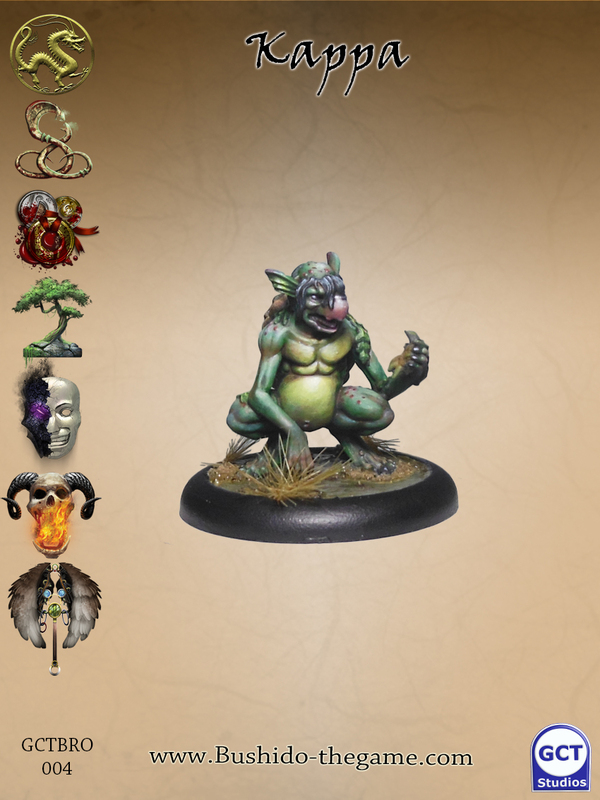 It will be available only at shows or from our webstore for the duration of the shows only, so be sure not to miss out on your chance to let the Kappa loose on your opponents. Its first outing will be at Essen and similarly in our webstore from the 8th through to the 11th of October. 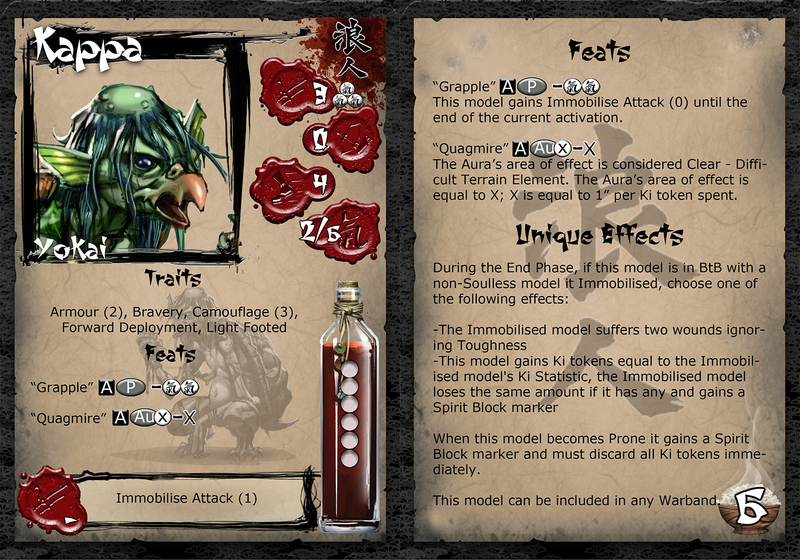 The Kappa are one of the most well-known of the Yokai, a selfish entitiy who will align with any for the price of a unique named gift. They're bonded to water and if the gift is suitable can be convinced to turn their powers over the element to create swamp ground to impede enemies by concentrating their will. 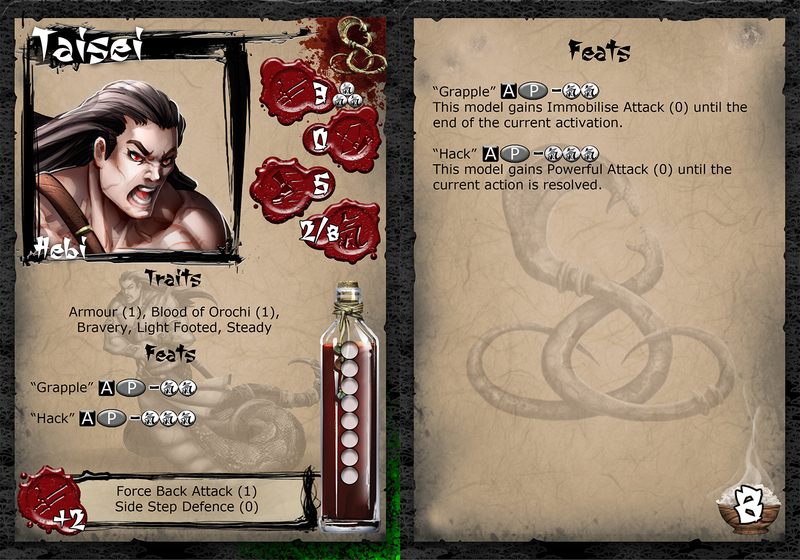 In combat the Kappa can be strangely strong, dragging their adversaries down into the water that surrounds them and drowning their victims or stealing their souls. It is told that to curb a Kappa’s power you need to knock it down and spill the water from its head. 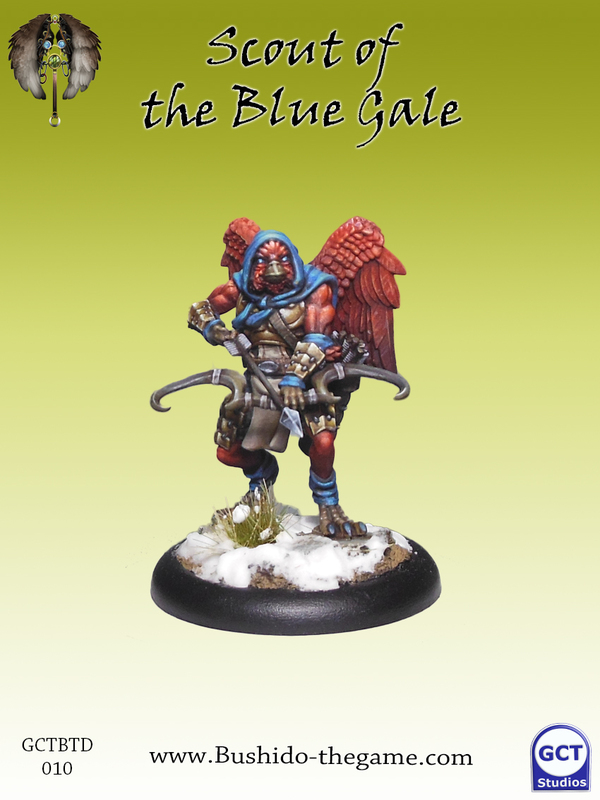 Of the Suzume warriors the fast and most athletic are chosen for the Blue Gale, an elite scouting force. 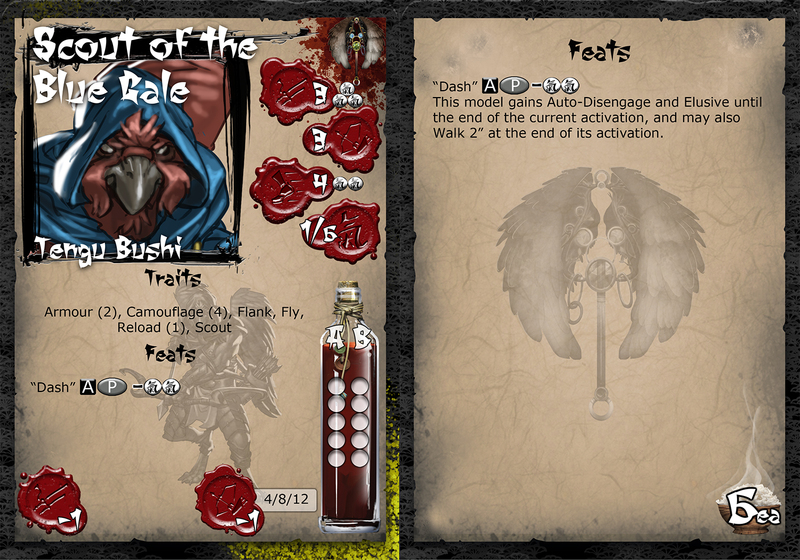 Skilled in watching without being seen, striking and fading away, with blade or bow they are effective fighters adding even greater tactical options to the already mobile Tengu Warbands. Deep in the cold, moist temples to Orochi where the greatest nightmares lurk, Taisei waits, conserving his energy only for the bidding of the one true Kami. 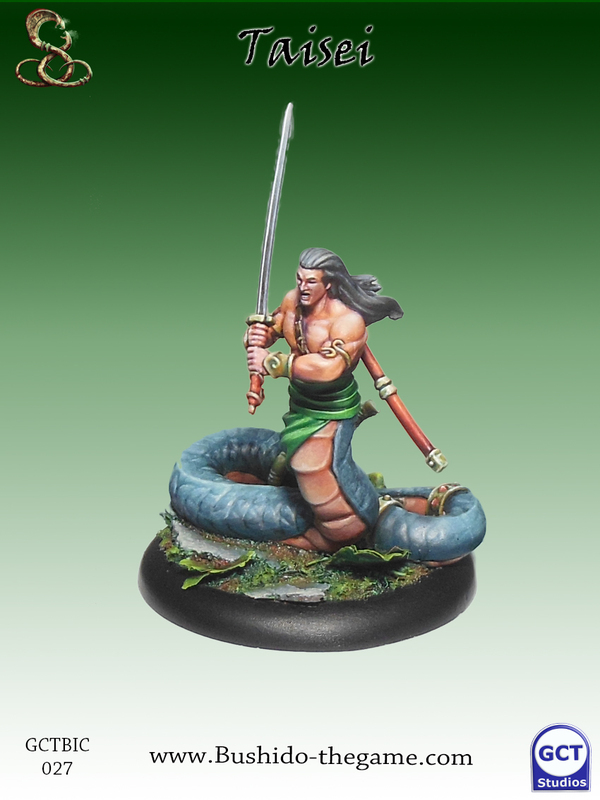 His physical prowess making him an impressive specimen of the Hebi, his great strength allowing him to wield the no-dachi with frightening agility, fearsome power or crushing an enemy beneath muscled coils, immobilised and helpless to the mercy of the merciless.